MoreIf you are struggling to provide for yourself and your family in the wake of an accident that was not your fault, you do not have to fight your battle alone. You can trust The Law Office of Anthony Gurvis in Columbus, Ohio, to battle the insurance companies on your behalf so you receive full and complete compensation you need to cover your medical expenses, lost wages and any other associated costs.Serving clients throughout the Columbus metro region and all of Central Ohio, attorney Anthony...If you are struggling to provide for yourself and your family in the wake of an accident that was not your fault, you do not have to fight your battle alone. You can trust The Law Office of Anthony Gurvis in Columbus, Ohio, to battle the insurance companies on your behalf so you receive full and complete compensation you need to cover your medical expenses, lost wages and any other associated costs. Serving clients throughout the Columbus metro region and all of Central Ohio, attorney Anthony Gurvis and the dedicated legal professionals at our law firm have achieved unprecedented success advocating on behalf of those who suffered an injury or lost a loved one in a car accident caused by someone else, particularly accidents caused by drunk drivers. Mr. Gurvis has more than 35 years of legal experience, and our law firm has on staff legal professionals who worked as managers in the insurance industry. As such, we have in-depth knowledge and unique insight that allows us to devise the most effective strategy to help you recover the maximum amount possible for the damages you incurred as well as for your pain and suffering. When you retain our services, we will begin working on your case right away. Compassionate and responsive, we are available any time of the day to answer your calls and emails to address your questions and concerns. We also have Spanish translators available as an added measure of convenience. 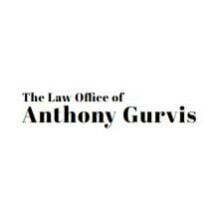 To discuss your needs with a dedicated member of our legal team, you can contact The Law Office of Anthony Gurvis and take advantage of our law firm's free initial consultation.